In 1970 or so my husband and I went to B. Altman, the venerable Fifth Avenue department store, to view remarkably inexpensive sculptures assembled from old farm implements designed by William Heise, a sculptor from Vermont. It was rather early on a Saturday morning and the only other visitor, a middle-aged man, was so familiar-looking that I said hello. “Charming, aren’t they?” he answered. Indeed the birds, pigs, moose and other creatures assembled from shovels, bathtub legs, scythes, and the like were so wonderful that we selected three. When we got to the sales desk, it turned out that our fellow-shopper, Governor Nelson A. Rockefeller, had already acquired two of our selections. All in all he had bought 21 sculptures. 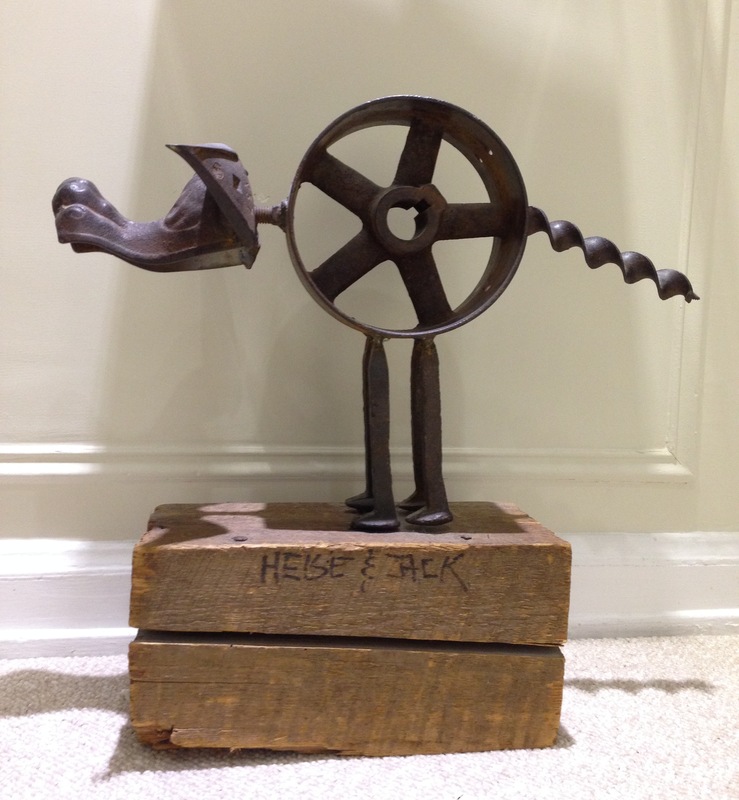 Sculpture by William Heise and early collaborator Zack, bought at B. Altman. Nelson Rockefeller, like his mother Abby, was both an art collector and a shopaholic. At his death in 1978, he owned 3000 works of art, ranging from folk art, like the B. Altman found-object works, to masterpieces by Matisse and Picasso. This number does not include the thousands of works Nelson had traded in or donated to the many museums he founded or endowed. My encounter at Altman contributed to my interest in the art-loving family. Forty years later I decided to write a book entitled America’s Medicis: The Rockefellers and Their Astonishing Cultural Legacy (Harper, 2010) that recounts their involvement with more than thirty museums. This year we celebrate the sixtieth anniversary of the Museum of Primitive Art that Nelson Rockefeller founded in 1954. For twenty years it was located in a house the family owned on 54th Street across the street from MoMA. Nelson was not the only one to recognize the power and beauty of African masks or Mexican figures, but he was the first to officially brand it as art. Until he came along, such objects were exhibited at museums of natural history. 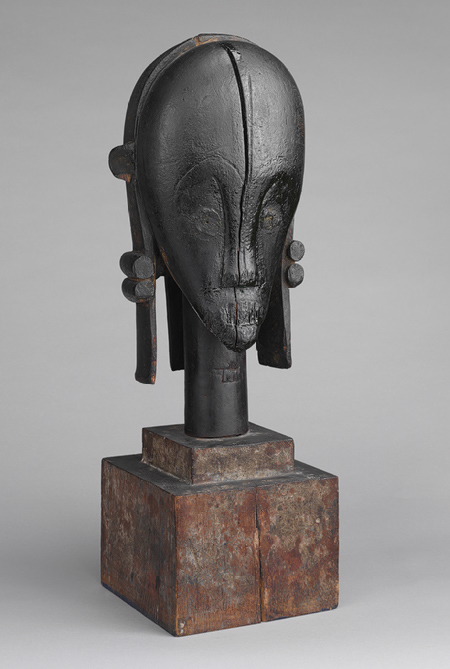 From the first, Nelson’s tribal art collections overflowed its quarters, and the small museum mounted specialized shows such as Sculptures from the Pacific, Benin Bronzes, The Incas of Peru and African Sculptures from the Museum Collection. Nelson Rockefeller’s son Michael decided to follow in his father’s footsteps. He perished off the coast of New Guinea while collecting Asmat artifacts for the Museum of Primitive Art. In his memory Governor Rockefeller, encouraged by Brooke Astor, offered the entire collection of his small museum to the Metropolitan Museum of Art provided they would erect an entire wing named for his son. After a hiatus of twenty years the Michael C. Rockefeller Wing housing the Arts of Africa, Oceania and the Americas, opened in a spectacular space at the southern end of the museum complex. Its content offers a spectacular display of the tribal art from these regions. The art created by North American tribes is somewhat neglected because Rockefeller felt it was well represented in other U.S. museums. Nelson Rockefeller’s four-term governorship left a mixed legacy and being president of the U.S was his unfulfilled ambition. His positive impact on the art world, both as governor and private citizen is unquestionable. He believed that the enjoyment and healing power of art was everyone’s indelible right. As governor he created the country’s first Endowment for the Arts, which served as a model for the national version. The Micheal C. Rockefeller Wing was only one of his legacies. This year the museum is celebrating the 60th anniversary of the Museum of Primitive Art. For the occasion the museum culled fifty masterpieces from the 3,000 items gifted by Rockefeller and exhibited them in a special alcove within the Michael C. Rockefeller Wing. My very favorite among these is a black wood Reliquary Guardian Head made by the Fang people living in Equatorial Guinea. The head consists of a triangular oval, with a large rounded forehead, scantly sculpted eyes, nose, chin and elongated earrings. Its simplicity and dignity might have inspired Brancusi. The reliquary, however, it is only one of the many beautiful objects sequestered in this section of the museum that, until Nelson Rockefeller came along, concentrated on more traditional art objects. Aside | This entry was posted in Uncategorized and tagged america's medicis, art, art museums, b. altman, fang people, heise, metropolitan museum of art, michael c. rockefeller, michael c. rockefeller wing, modern art, museum of primitive art, nelson rockefeller, rockefellers, william heise. Bookmark the permalink.